Following a remarkable transformation in the past century in research and innovation, in particular through the development of new technologies and processes in sectors such as oil and gas, shipbuilding and also fisheries and aquaculture, Norway is today increasingly facing a “triple transition imperative” in which it needs, first, to shift toward a more diversified and robust economy; second, to move to a more competitive, effective and efficient innovation system; and third, to support research and innovation activities that can confront an array of societal challenges (climate change, food security, aging, health and so on). The Long-Term Plan for Research and Higher Education 2015-2024 (LTP) launched by the Norwegian government has set the base to enhance the capacity of the research and higher education system to cope with these transition challenges. 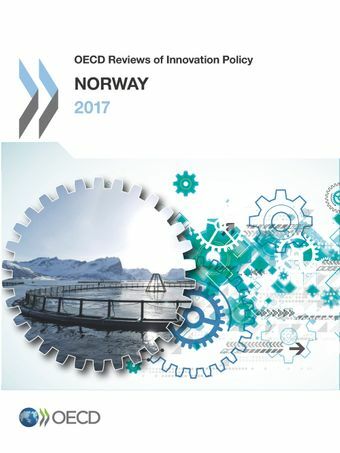 This report proposes recommendations to take advantage of the revision of this comprehensive strategic plan in 2018 to improve the horizontal coordination and add more concrete structural policy initiatives, without changing the plan’s general orientation nor giving up the sectorial and the consensus principles that form the basis of Norwegian policy making. Two in-depth case studies were carried out to support the assessment of the Norwegian system of innovation’s strengths and weaknesses in two key sectors: health and health care, and seas and oceans. Each of these case studies includes a specific assessment of activities and policy initiatives in the sector, and concludes with dedicated recommendations.